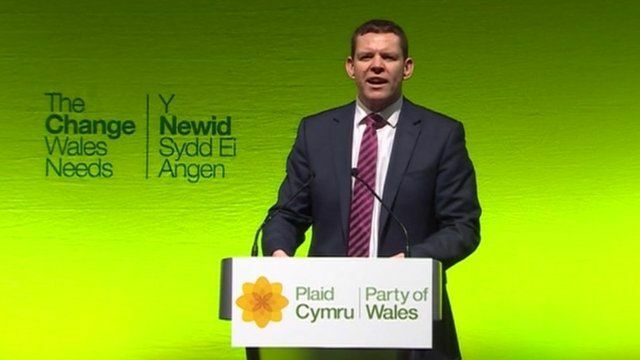 'Ambitious but achievable' ideas Jump to media player Plaid Cymru's election pitch can reach beyond its heartlands to the whole of Wales, the party's economy spokesman Rhun ap Iorwerth says. Plaid promises the 'change Wales needs' Jump to media player Plaid Cymru leader Leanne Wood urges voters who felt "taken for granted" by Labour to switch to her party at May's assembly election. Plaid offers 'ambitious' election pledges Jump to media player Plaid Cymru says its election manifesto pledges will be independently verified. Plaid Cymru's election pitch can reach beyond its heartlands to the whole of Wales, the party's economy spokesman has said. Rhun ap Iorwerth told the party's spring conference in Llanelli there was a "palpable" appetite to bring 17 years of Labour-led government to an end. Plaid Cymru had "ambitious but achievable" ideas to boost health, education and the economy, he said.